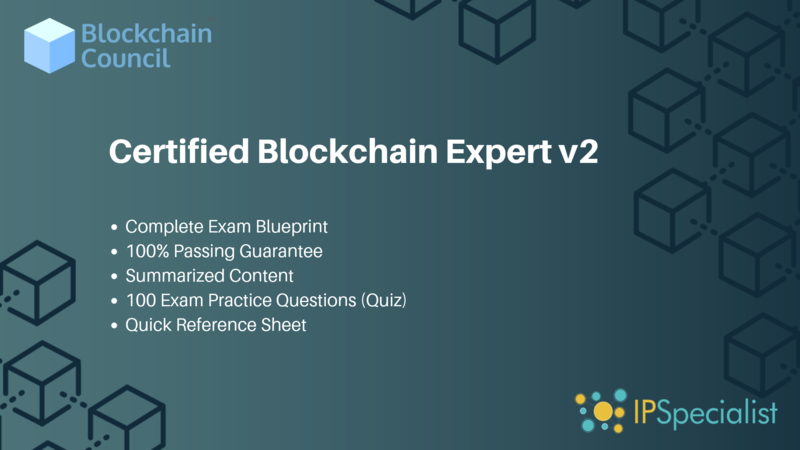 This workbook covers all the information you need to pass the Blockchain Council’s Certified Blockchain Expert v2 exam. The workbook is designed to deliver all information and technical knowledge in-depth for learning with real-life examples and case studies. Certified Blockchain Professional is an exhaustive training, lab & exam based program aim to provide a proof of the knowledge of the certificate holder in Blockchain space. The blockchain is evolving very fast & enabling businesses to build very powerful solutions at a lesser cost. Enterprises are struggling to identify the right talent to deploy on the Blockchain-based projects in-house. This certification will work as a bridge between enterprises & resources (employees, consultants & advisors) to give enterprises confidence in the quick hire. Who must attend this certificate?